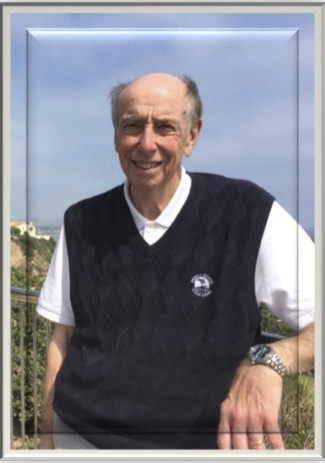 International slow play expert and Founder of the transformational Pace Manager Systems®, William Morrison Yates, Jr. (Bill), sadly passed away at his home on 4 June after a short time battling pancreatic cancer. Bill dedicated decades to the analysis of how managers of golf courses and clubs can speed up play to improve the golf experience. He has helped hundreds of public, private, municipal and resort courses around the world, including the courses at St Andrews in Scotland, the cradle of golf and the Royal & Ancient Golf Club, lower their round times and improve customer value and revenue. Bill also worked with golf course architects and others who are designing, redesigning or renovating golf courses. In 2016 Bill made the trip over to Australia in collaboration with Golf Industry Central to speak at the Golf Business Forum in Melbourne, and to bring his world-renowned Pace Manager Systems® to golf courses and clubs in Australia, New Zealand and Asia. Golf Industry Central assisted Bill as he toured around the country working with clubs on some new training programs, improving the experience for members as well as guests. Bill was also working closely with GIC more recently, offering a variety of ‘on-line’ as well as ‘on-site’ consulting and improvement training services to courses in the area. “I met Bill in early 2015 when I came across an article he wrote about Pace of Play which had similar information as to an article I wrote a few years before – an instant connection for me! We then started communicating and a few phone calls later we became business partners,” said GIC Managing Director Mike Orloff. A memorial celebration will be held Wednesday, June 27 at Carmel Presbyterian Church, on the corner of Ocean and Junipero, Carmel, CA at 4:00 pm. All are warmly invited. In lieu of flowers, memorial donations will be gratefully received by Yellow Brick Road where Bill served as a member of the Board of Directors and which supports nonprofits throughout Monterey County through grants totalling more than $300K each year. Bill is survived by his wife Olivia Brinckloe Yates, children William M. Yates, III, Eileen Yates Von Herbulis, Robert O’Brien Yates, Caroline Yates Morell, and grandchildren Brinley, Mikayla, Mackenzie, Barrett and Journey. Bill will be laid to rest in the CA Central Coast Veteran’s Cemetery in Seaside.